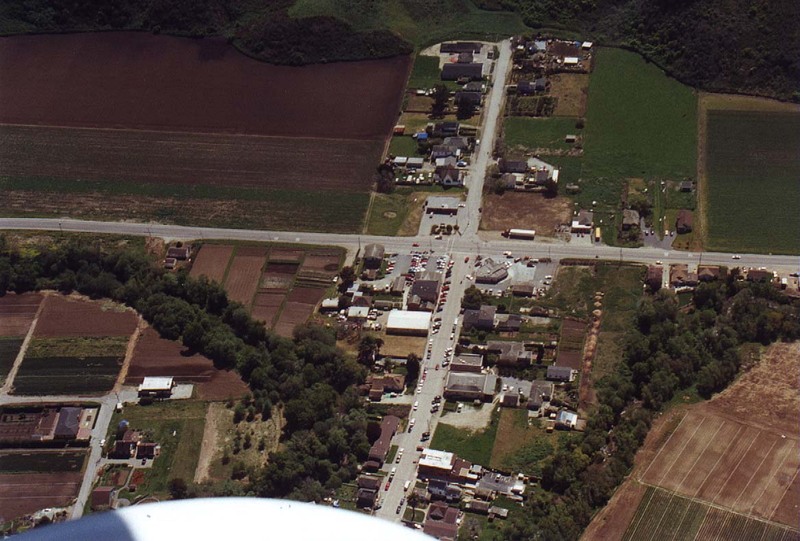 These were taken after the realization that an open window improves image quality. 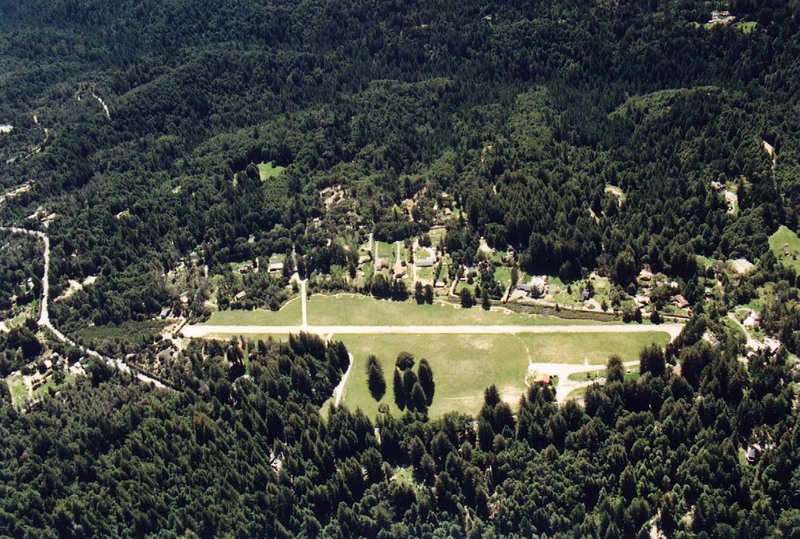 A private airstrip in the Santa Cruz mountains East of Bonny Doon. 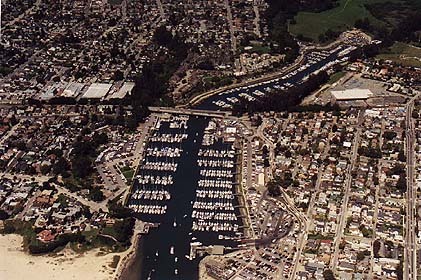 Another harbor view. I think it's cool how the ships are all coming into port. 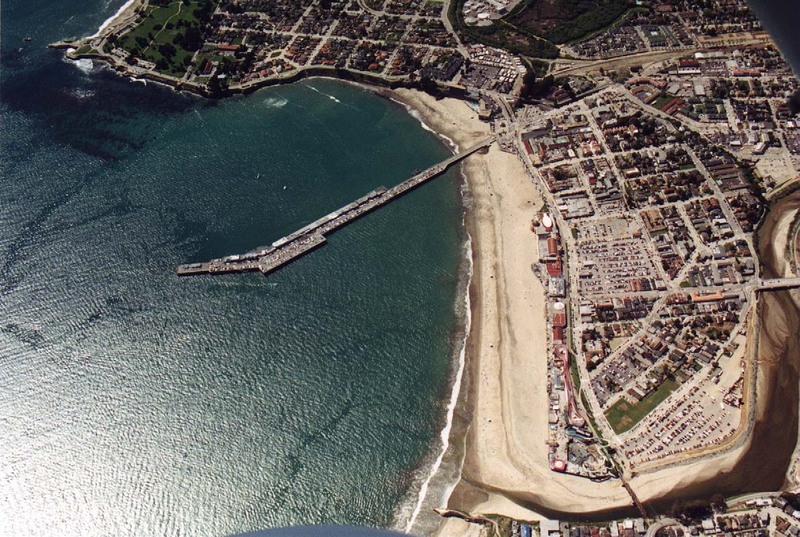 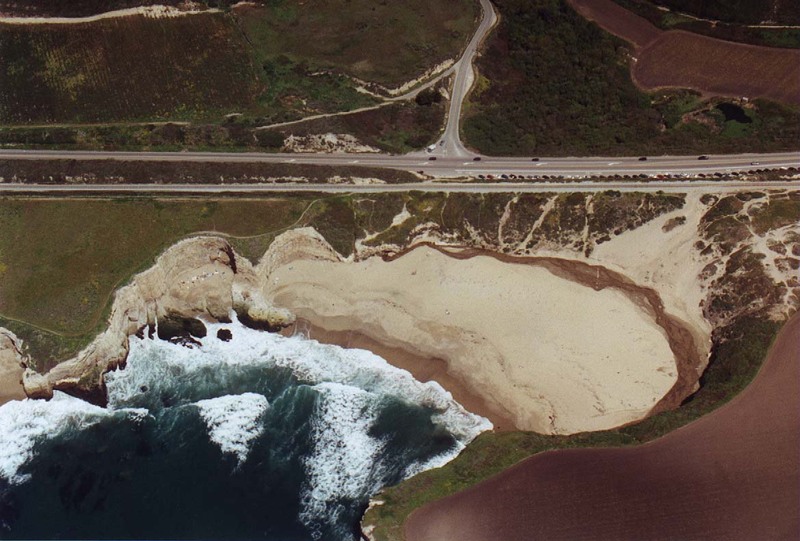 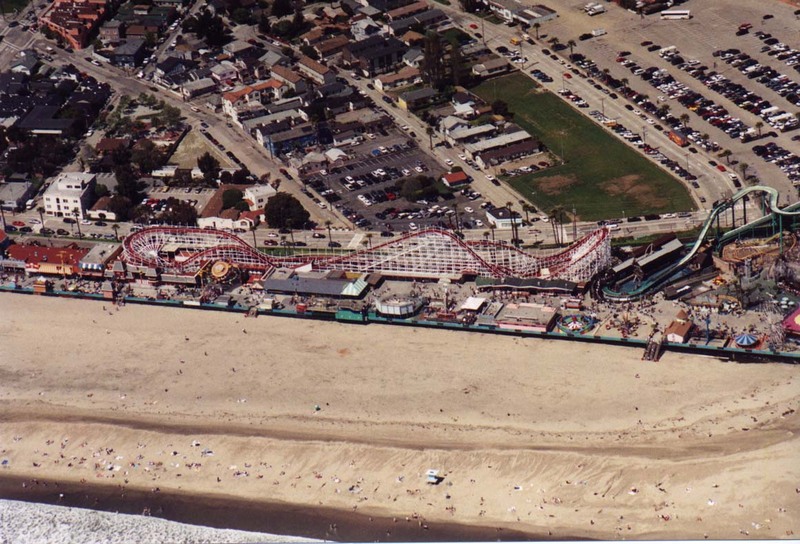 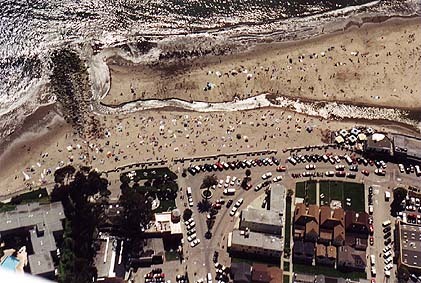 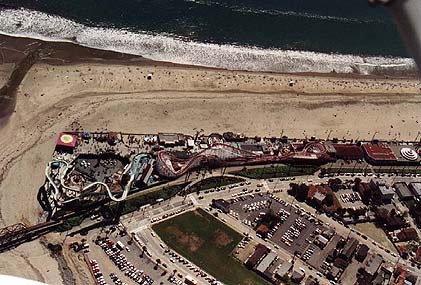 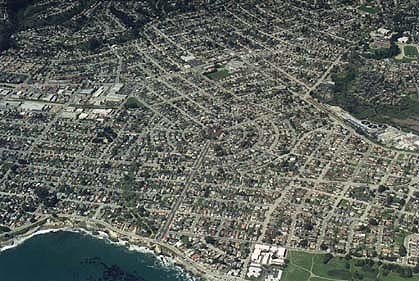 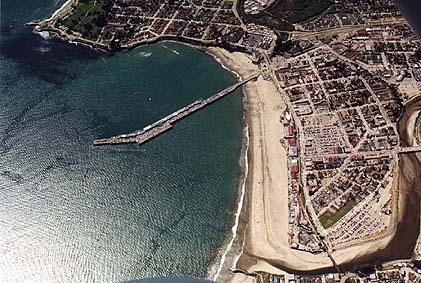 Looking directly down onto Capitola beach. 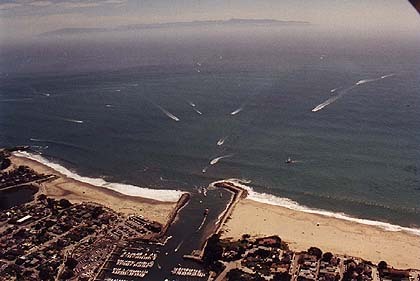 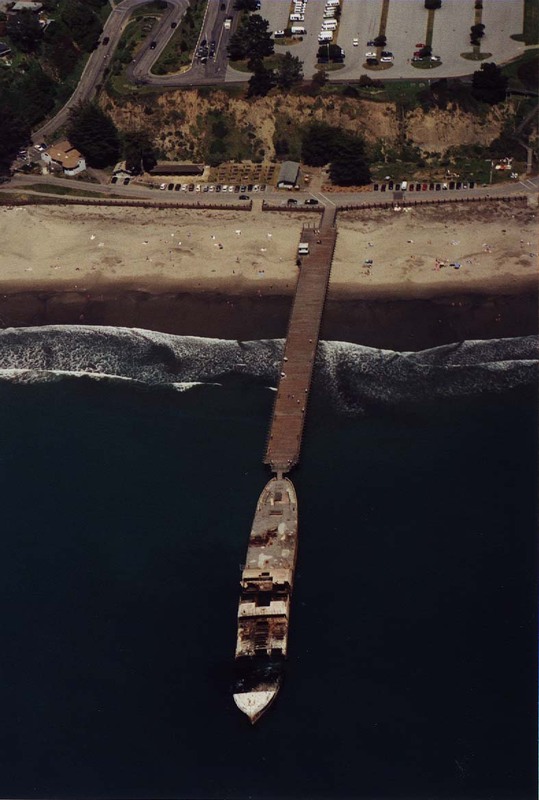 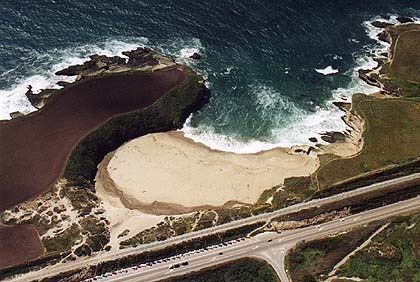 A semi-sunken ship near capitola. I remember visiting it as a kid. 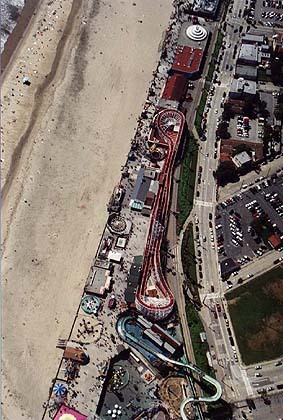 The boardwalk from a bit higher. 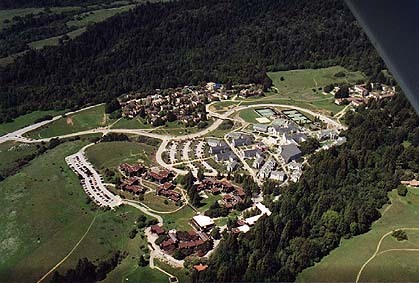 Some of the dorms at UC Santa Cruz. 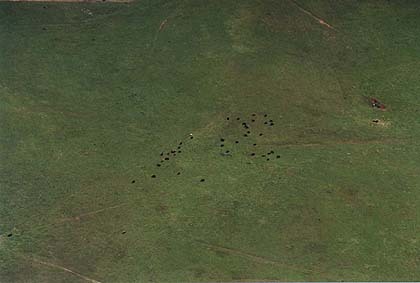 Some cows in a field near UC Santa Cruz. 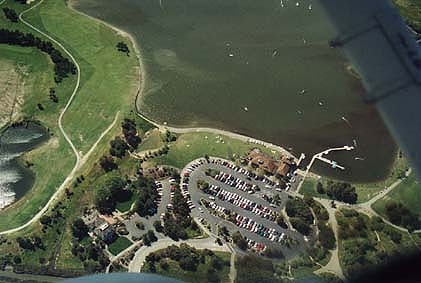 Back towards Palo Alto now; This is the lake at Shoreline park in Mountain View.